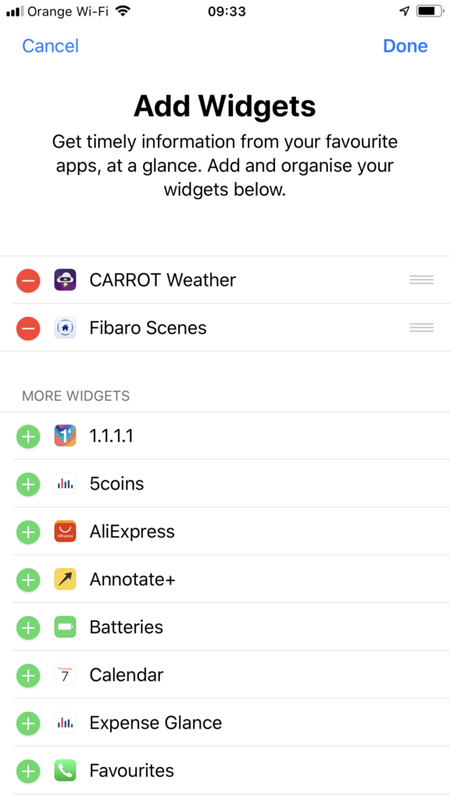 Widgets are a functionality of FIBARO mobile app. 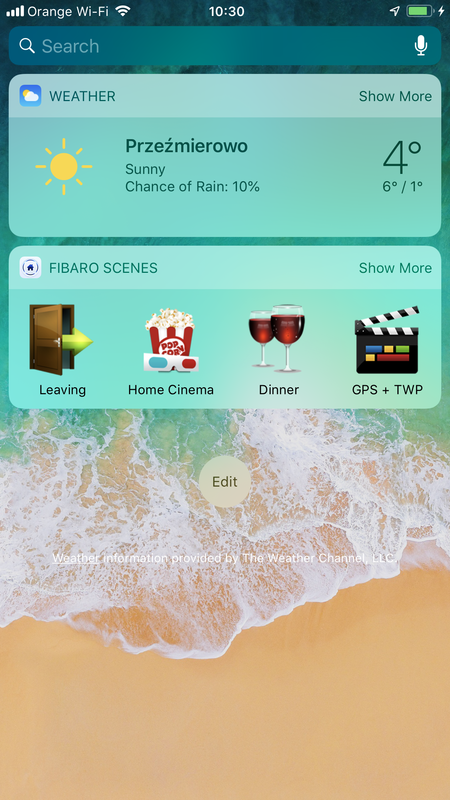 Widgets allow for easy and quick access to the scenes of your FIBARO Home Center via the main screen of your smartphone. Through this solution, you can run a scene from the home screen with just one touch of your finger. Go to the Today View, scroll to the bottom, and tap Edit. Add Fibaro Scenes. 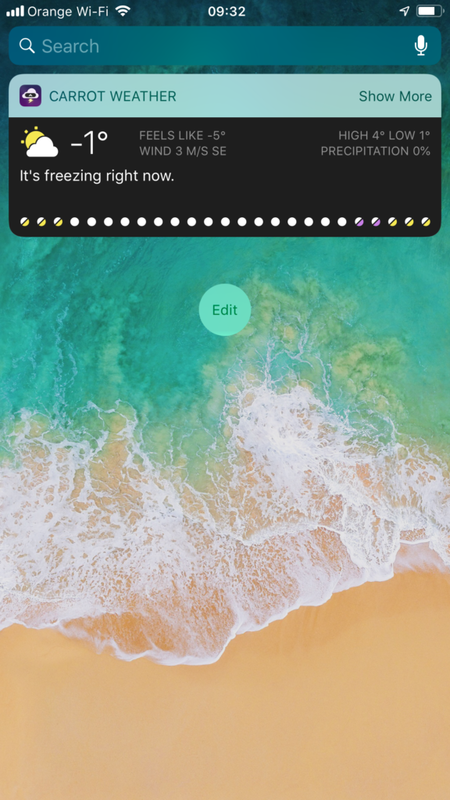 To add a widget, tap . 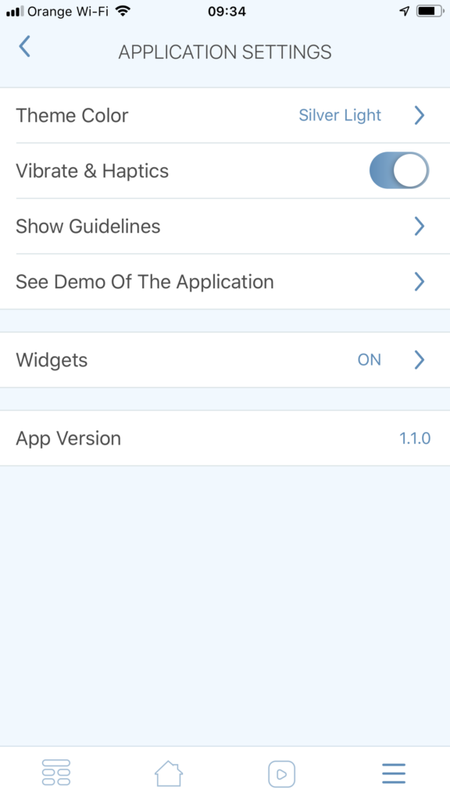 To remove a widget, tap . If you have added it for the first time, you may need to grant necessary privileges. Tapping on the widget will take you to our FIBARO Home Center app. 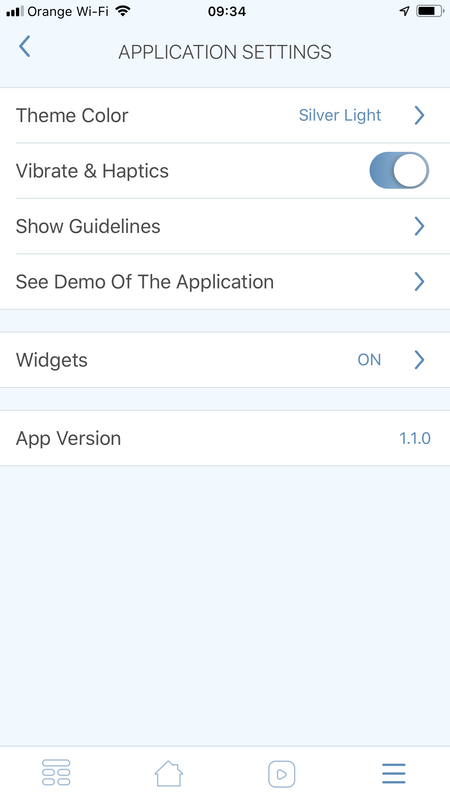 Go to the Application Settings and activate Widgets. Your widgets should now be visible on the Today View. 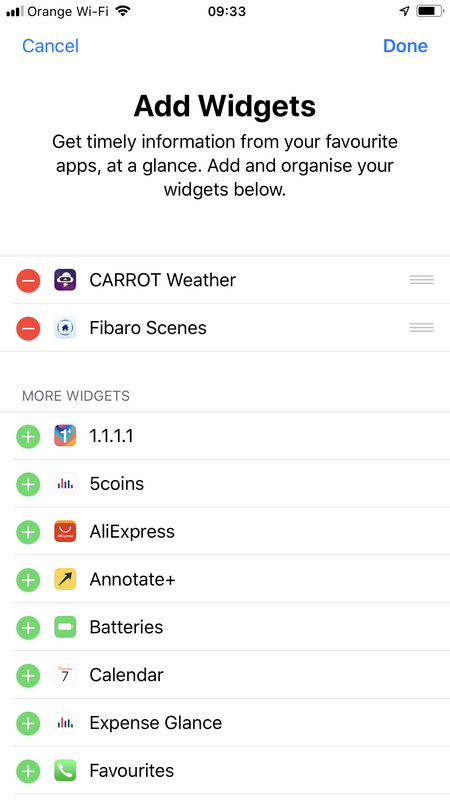 Now you ou can run scenes using Fibaro Scenes widget. During the startup of the scene, you cannot start another scene. There is no possibility to add the scene protected by the PIN code. iOS app allows for adding up to 4 different scenes to the Today View. 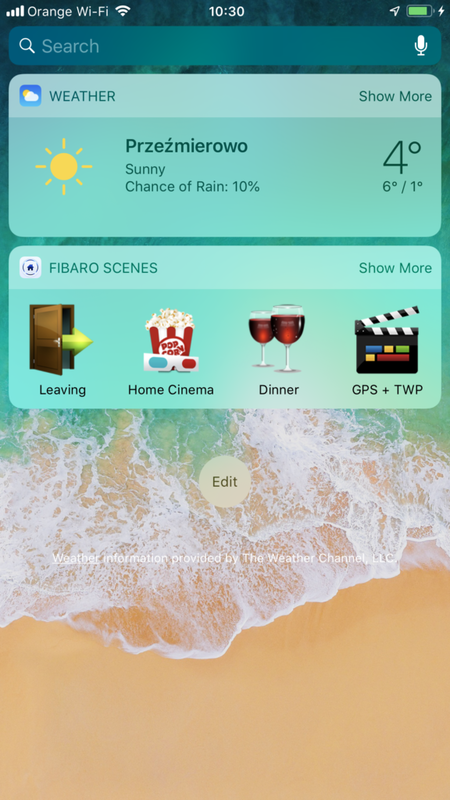 You can also view the Scenes widget by 3D Touching the FIBARO icon on your home screen.